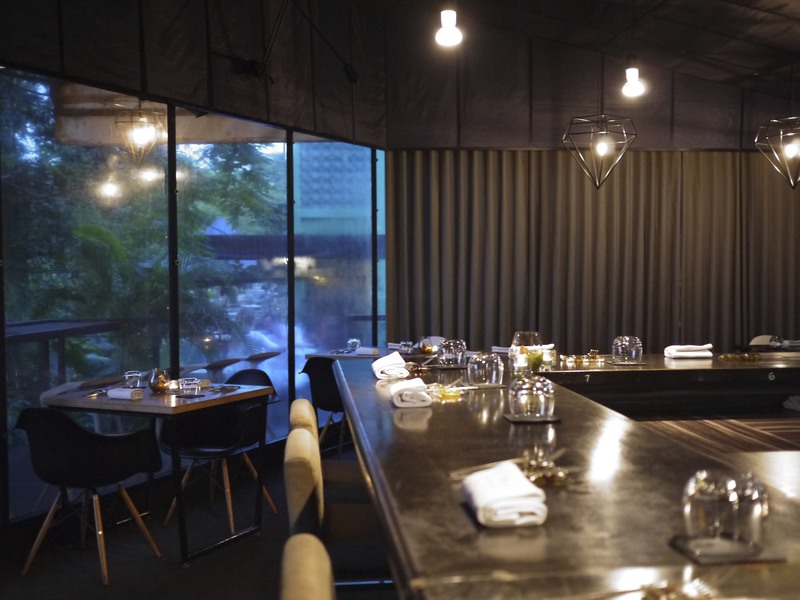 Vive la revolution (a culinary one that is), for the fine dining scene in Singapore is in the midst of an explosion. 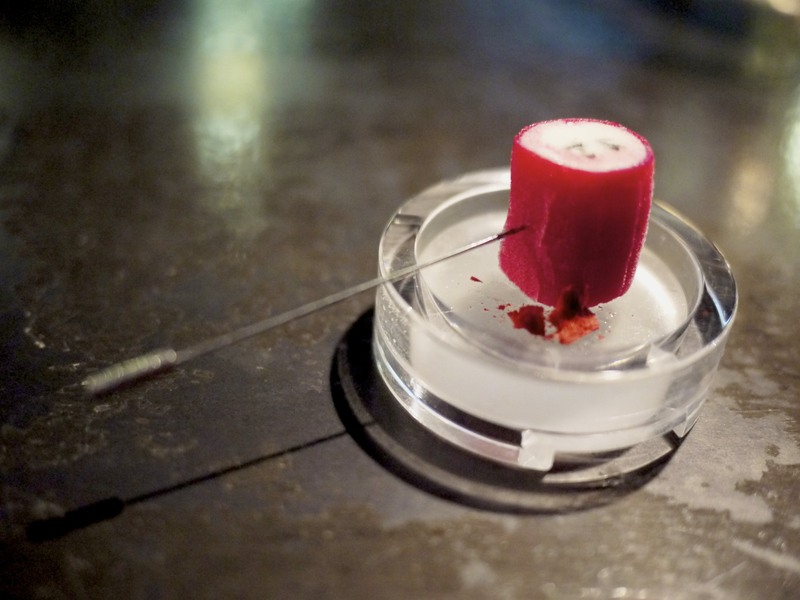 In a city where fine dining has traditionally involved lavish interior fittings and expensive ingredients limited only to the period of the Chinese New Year, the odds have been stacked against success for modern chefs. However, for those who persevere with unfaltering motivation like chef Ryan Clift, the reward is plentiful. 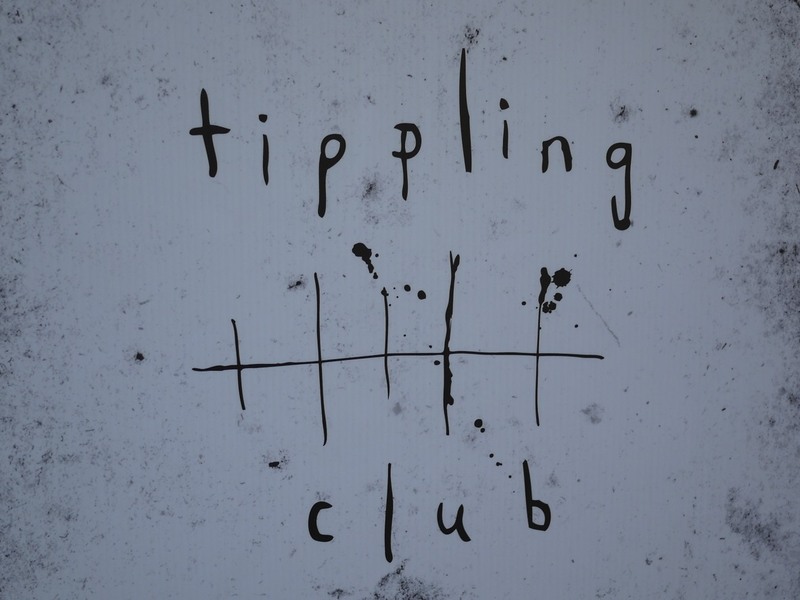 Tippling Club’s belated but deserved landing on San Pellegrino Asia’s 50 Best Restaurant 2014 guide at a respectable 23rd position is certainly one of them. But Clift is not one to sit on his laurels. 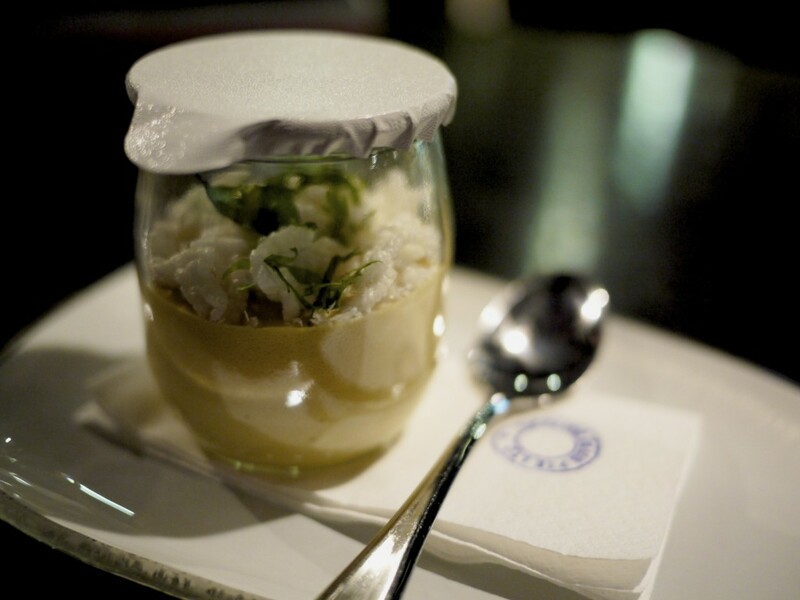 At the age of 35, he has already been the head chef at Vue de Monde and he doesn’t seem to be running out of steam. I was fortunate enough to dine at their original site a week prior to their move to Tanjong Pagar. A part of me felt saddened that they were moving to the city, as the current location was sublime. The original premise, a bungalow cocooned in the forest atop Dempsey road, could not have been more far removed from the hustle and bustle of Singapore, but I could sympathise with Clift. Unfortunately, the locals found the 20 mins cab ride and its remoteness as a serious obstacle; first world problems. 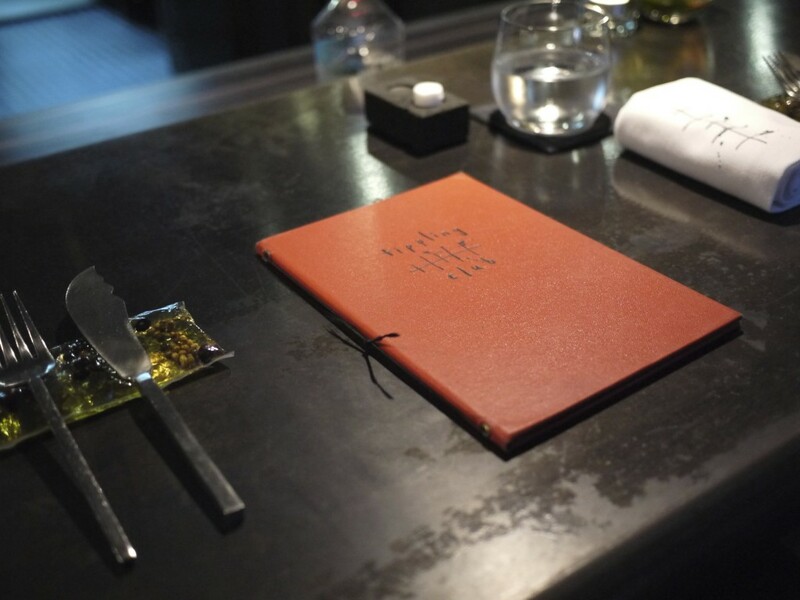 Inside their original restaurant, Clift had done away with the traditional tablecloths and indeed, most of the tables. The majority of guests sat at the kitchen counter and was able to observe the brigade of chefs and mixologists do their magic. Clift was quick to point out this concept was going to be kept in their new location. At Tippling Club, the conventional matching wine option is replaced with cocktails. As this was what attracted me first to the restaurant I naturally felt obliged to try one of their cocktails before tucking into the meal. Suffice to say, they lived up to the expectation. However, it didn’t take long before my delicious gin-based concoction disappeared and their wine selections caught my eyes. Whether for the right reason or not, the conservative side in me pushed for the wine instead. Personally, I was quite happy with the decision but I would most certainly look to try their cocktail matching option on my next visit. 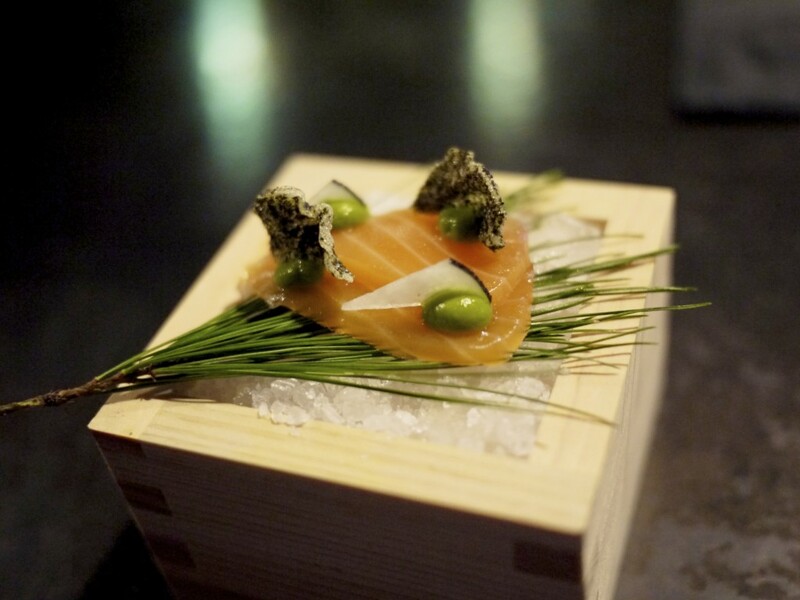 The meal kicked off with a delectable series of amuse bouche starting with the Gin cured ocean trout from New Zealand laid over a bed of pine needles soaked in vodka. A lovely flavour of the sea with the nori cracker and the yuzu jelly cut through the fatty fish and the avocado mousse, making this a very well balanced dish. Clift’s take on a Singaporean curry (aka Hainanese curry though the name is misleading as it only exists in Singapore), which contained puffed rice, deep fried curry leaf and dessicated coconut over a curry espuma. 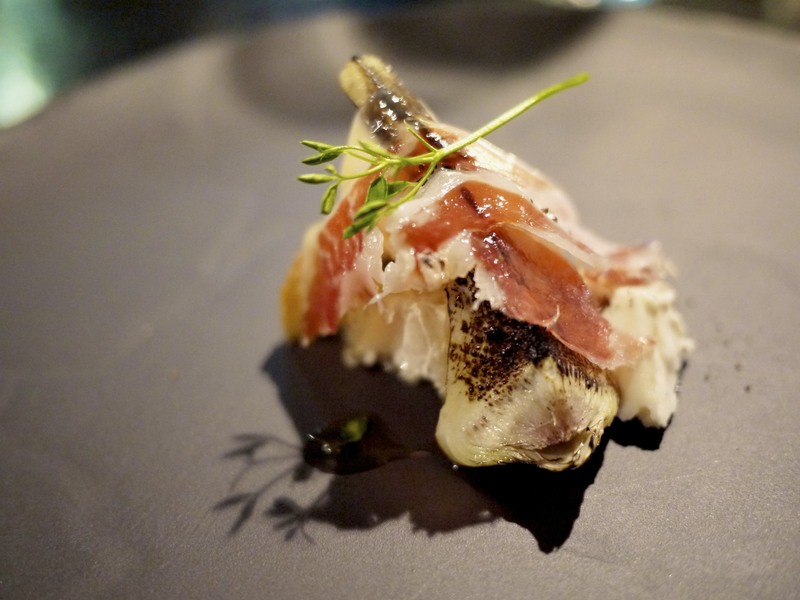 Having lived in Singapore previously for five years, I thought he truly captured the flavours of this popular local dish and I particularly enjoyed the texture of the puffed rice. 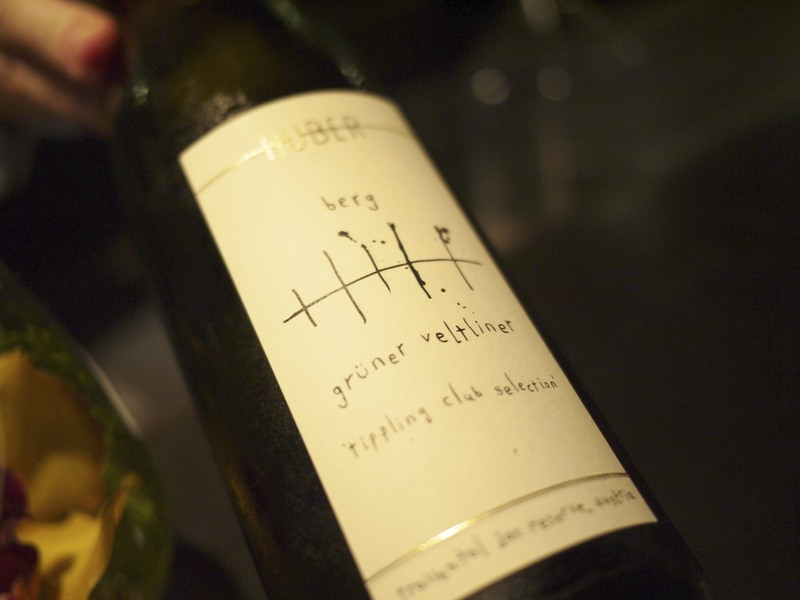 A beautiful glass of Markus Huber’s 2011 Berg, Grüner Veltliner especially bottled and exclusively made for Tippling Club only. A lovely peppery nose and aromatic spiciness, perfect for fish and spicy Asian food. 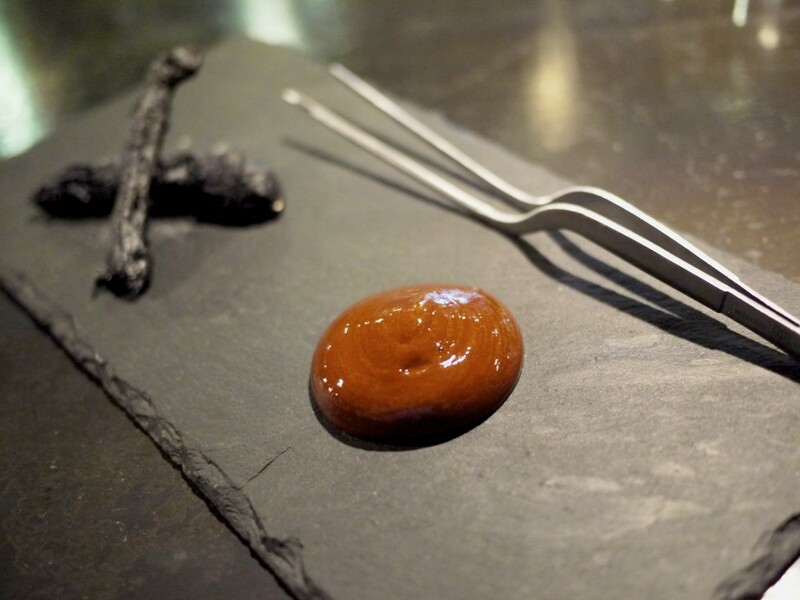 Their signature amuse bouche of the Charred and smoked green pepper tempura with a soy-wasabi dipping sauce. Beautifully crispy batter and a deliciously salty sauce with a slight instantaneous kick. Humble ingredients and umami rich flavours. I could see why this dish was so popular! I did it again! The fourth amuse bouche of the white truffle styrofoam had such an inviting aroma that I wolfed it down before realising I had forgotten to take a photo. 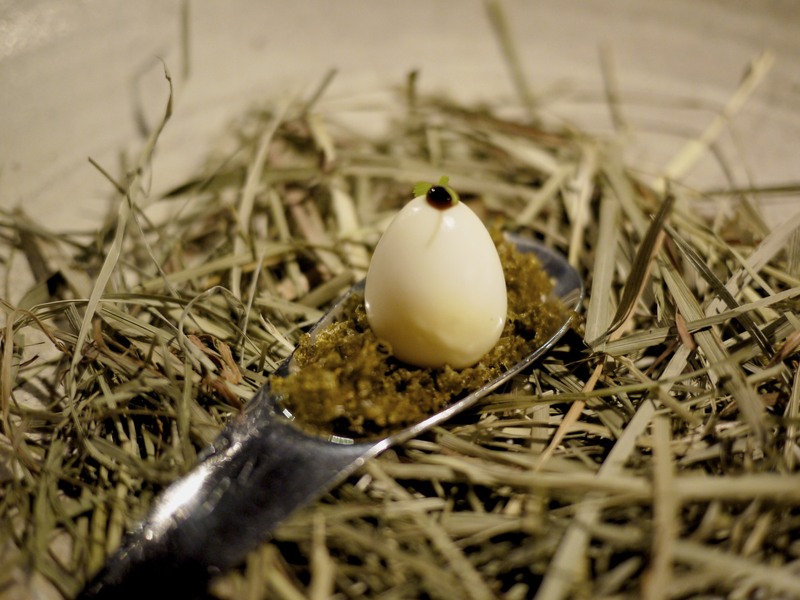 My friend chuckled as the next treat of the Smoked quail egg on a nest of kombu was being served. Again, great use of the umami-rich kombu to enhance the flavours oozing out from the egg that bursted in my mouth with only an ever-so-slight amount of pressure. My least favourite treat was the Black pepper beef tendon crisp as I found it a tad bit too oily and perhaps one dimensional in flavour compared to the other dishes. 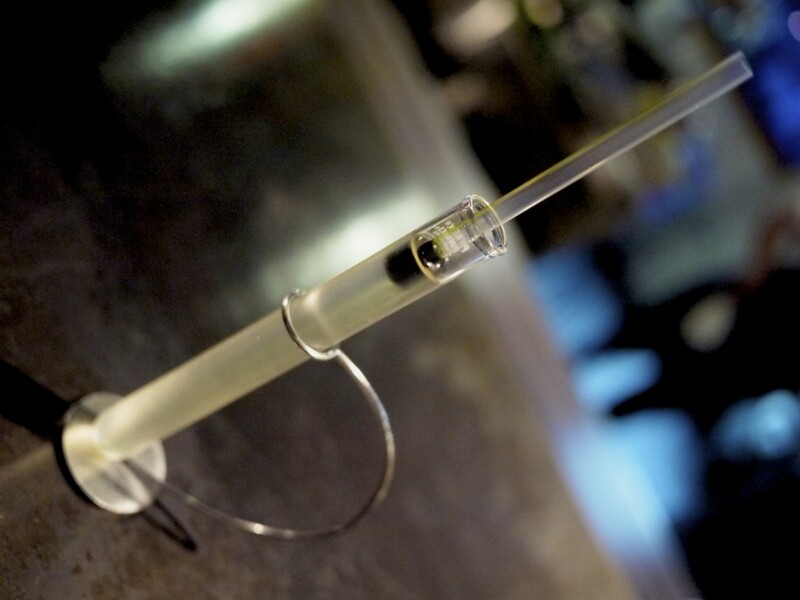 The finale to wash it all down was a Freeze filtered tomato water and basil acid in a straw served in a test tube. A very refreshing shot concluding the first segment of the meal. My tastebuds were now stimulated and impatiently waiting for the main courses. The first course of the evening, Spot Prawn, oba, soy, sudachi was visually beautiful, light and most importantly delicious. 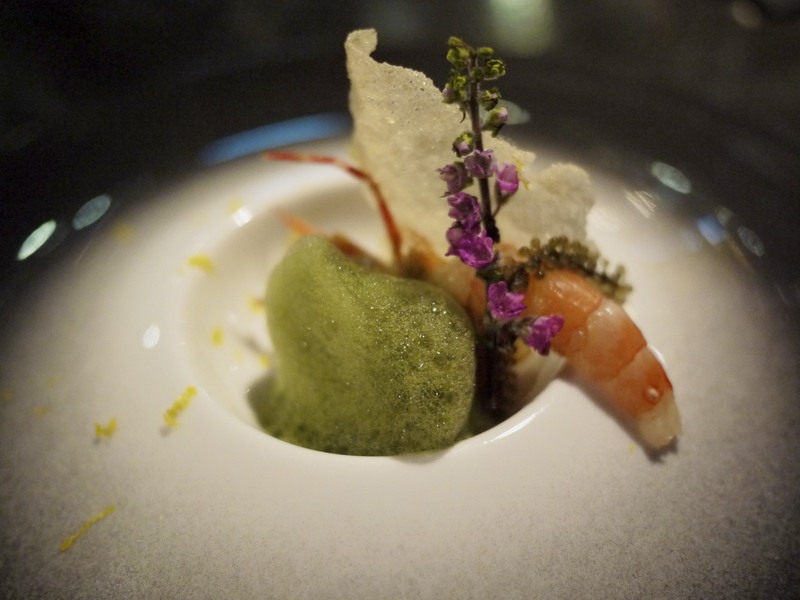 The sweet and creamy Japanese spot prawn (or amaebi) was delicately balanced against the minty oba (shiso leaf) velouté and shavings of the Japanese citrus, sudachi. 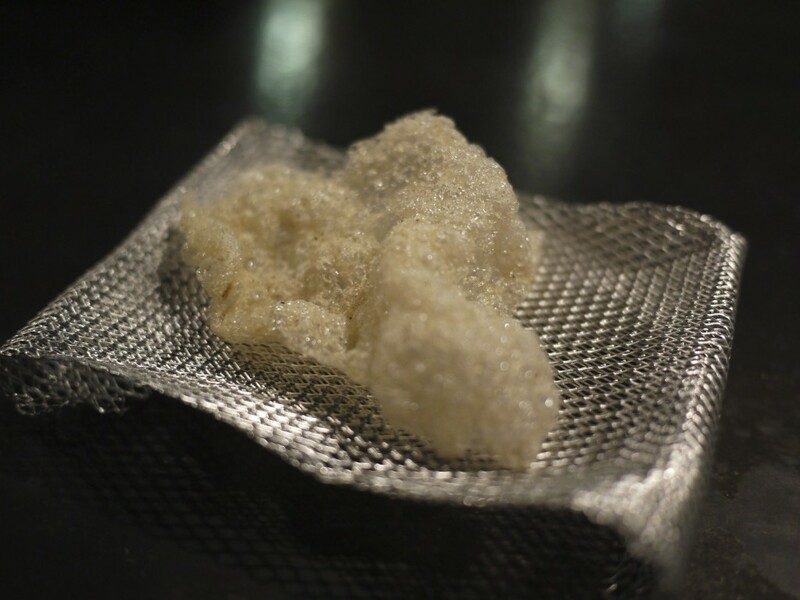 The prawn cracker provided that necessary textural contrast. Perfect use of the produce and ingredients. The next course of the Cauliflower, Mrs Potter’s cauliflower cheese, truffle was inspired by Clift’s mum. 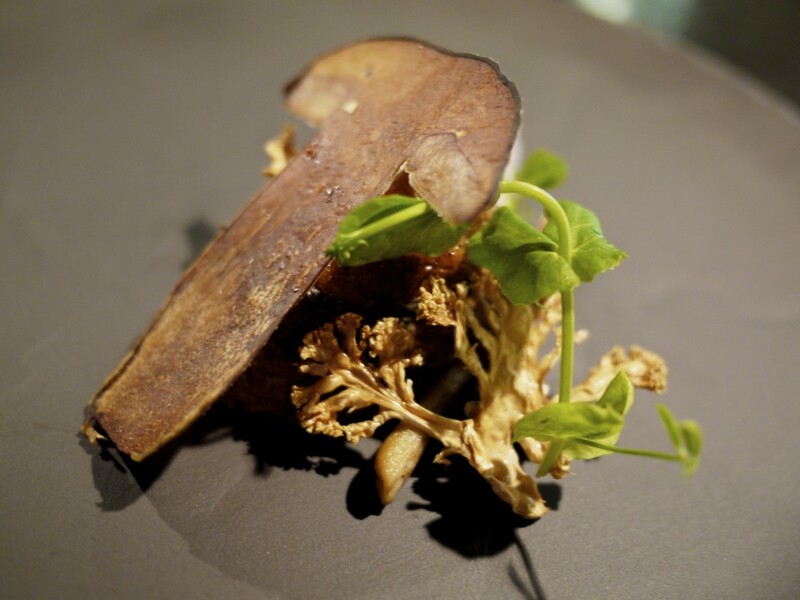 The dish comprised of truffle infused milk, micro cauliflower, cep and cauliflower chips, shimeji mushrooms, and sprouting tendrils. A heart warming dish with an irresistable aroma. I’m sure his mother would approve of this dish. I certainly did. Third course of the Foie gras, cherry, spices, cocoa, served with home made bircher muesli and apple blossom incorporated a new technique previously alien to me. 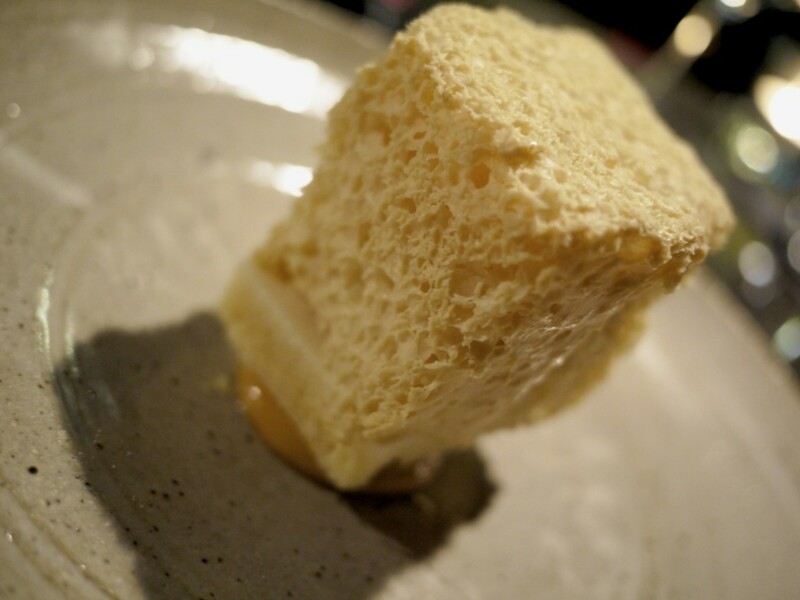 The mixture of the cocoa nibs, butter and spices had 20,000 sound waves per second passed through it to create a perfect blend and interesting texture with the foie gras. 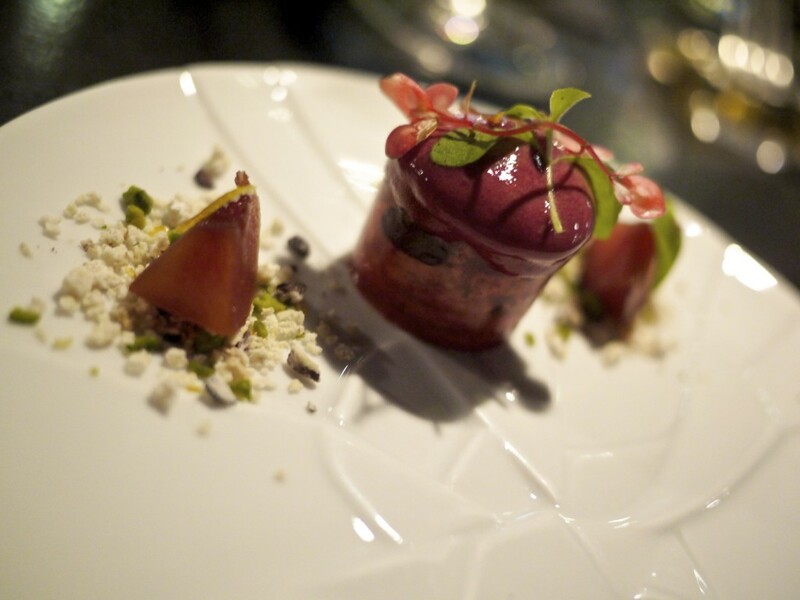 The classic combination of the cherry and foie gras worked well with the slightly bitter cocoa and spices, making the flavours here more interesting to a tried and tested dish. The wine of the evening was without a shadow of a doubt the 2009 Toolangi Denton, Chardonnay, Yarra Valley, Victoria. Grown across at Yarra Glen and vintaged across at Oakridge, this was a very elegant style of chardonnay, with gentle mineral complexity and fragrant peach flavour. Sommelier Marcus Boyle was generous enough to offer this beautiful wine by the glass to go with the next course. The fish course of the evening, sourced from Brittany which despite its complexity appeared deceivingly simple, was the Monkfish, apple, fennel, amaranth, walnut milk. The fish cooked sous-vide was plump and moist. 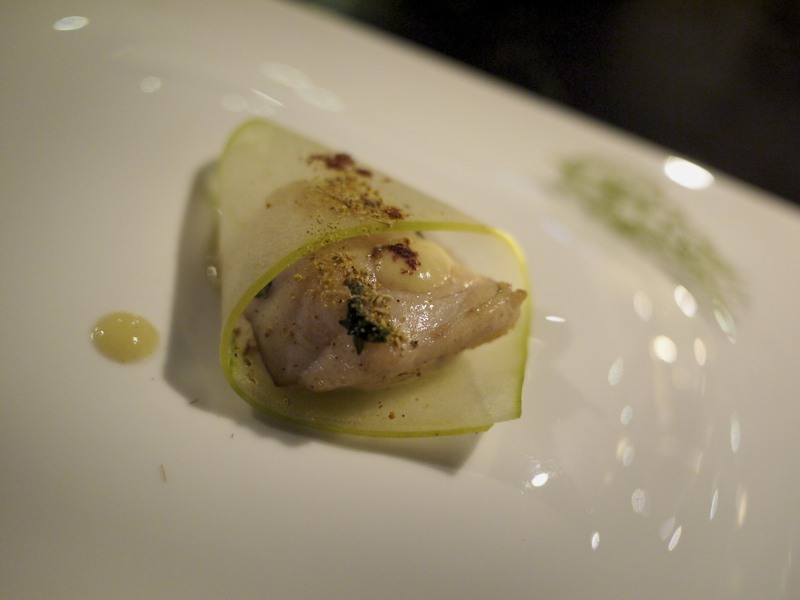 I enjoyed the intense sweet flavour from the fennel pollen dusted over the fish and the acidity of the compressed granny smith apple juice. The slight pepperiness and nuttiness from the amaranth and walnut milk completed this dish. Next up was Scampi fry, chefs interpretation of his favourite pub dish. The langoustine sourced from Western Australia was juicy and substantial, and the caper / cornichon mayonnaise worked well. It was perhaps not the most exciting dish that evening in terms of flavour. A true authentic Sicilian wine, 2010 Azienda Agricola Cos Pithos, Italy to go with the next course. Lovely floral notes and cranberry flavours, with a minerally acid finish. The next dish took me back to my home in Spain. Almost everything from the Iberico pork belly, cod cheeks, beans, wild herbs was sourced from Spain; the Iberico ham from Cinco Jotas, arguably one of the finest Jamonero in Jabugo, the Iberico pork belly and even the cod cheeks from Barcelona! 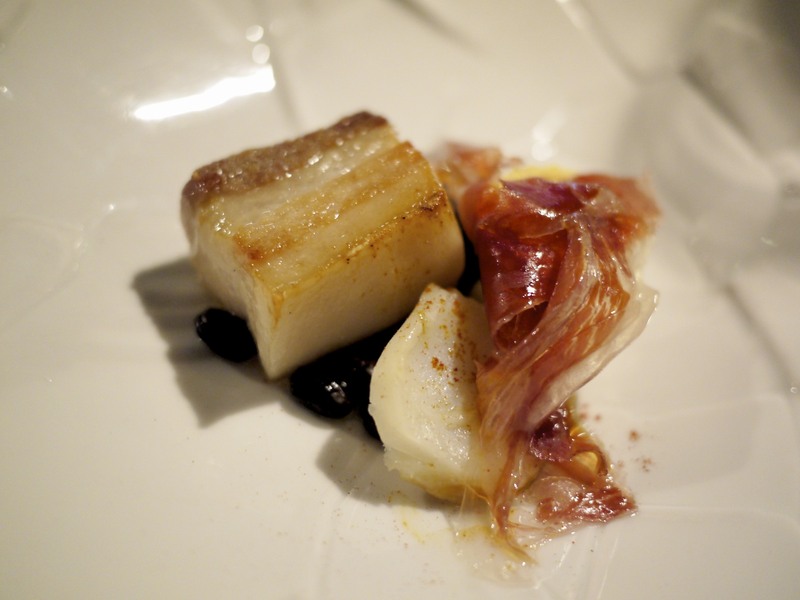 The culmination of the salty cod, fatty pork belly, black beans and the acidity of the tomato water was just spot on. 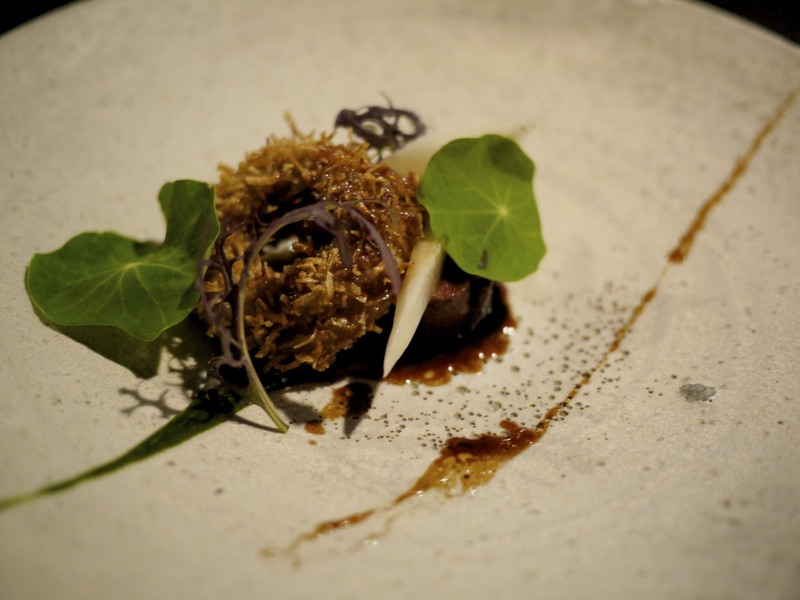 For our last savoury course we had Venison, onion nettle, salsify. The venison sourced from New Zealand as expected was cooked pink, the way it should be, and what amazed me most was the way in which the venison was caught. Apparently a helicopter is used in order to gain the advantage of surprise (perhaps Deer are a little on the deaf side) to ensure the animal did not tense up, thereby spoiling the quality of the meat (Not sure whether it really made a difference but it certainly tasted good). The onion ring covered in nettle was crispy and unique, although perhaps slightly overwhelming in flavour. The cheese of the day, a daily creation from the pastry kitchen was the Monte Nebro, a tangy and floral Spanish goats cheese, served with preserved artichoke and covered with some more delicious. Similar to the round of amuse bouche, we had some more tasty surprises prior to the two dessert courses. First up was Pineapple meteorite which was simply superb. Perfect balance of sweet and tartness from the chocolate and pineapple, and a refreshing act to follow the cheese course. 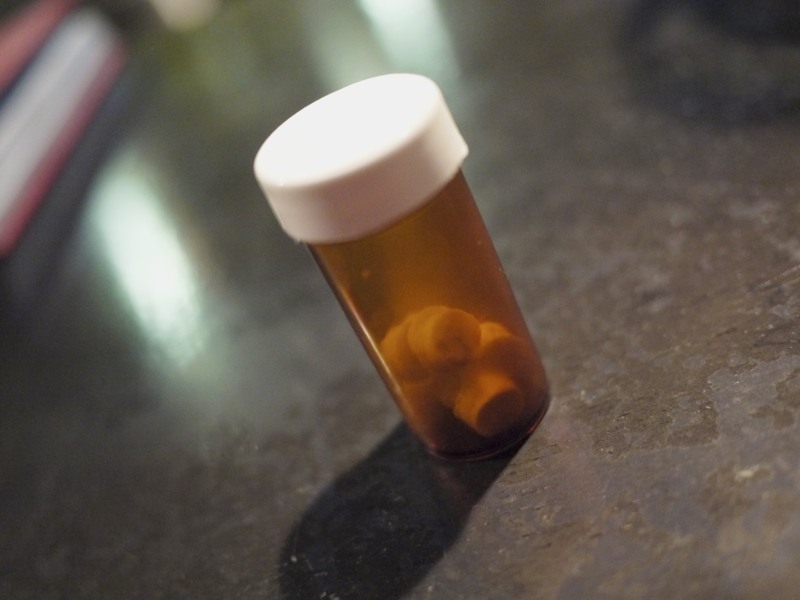 Some Cheesecake prescription for the addicts, which were actually dehydrated cheesecakes made to look like pills. I always enjoy a bit of humour! 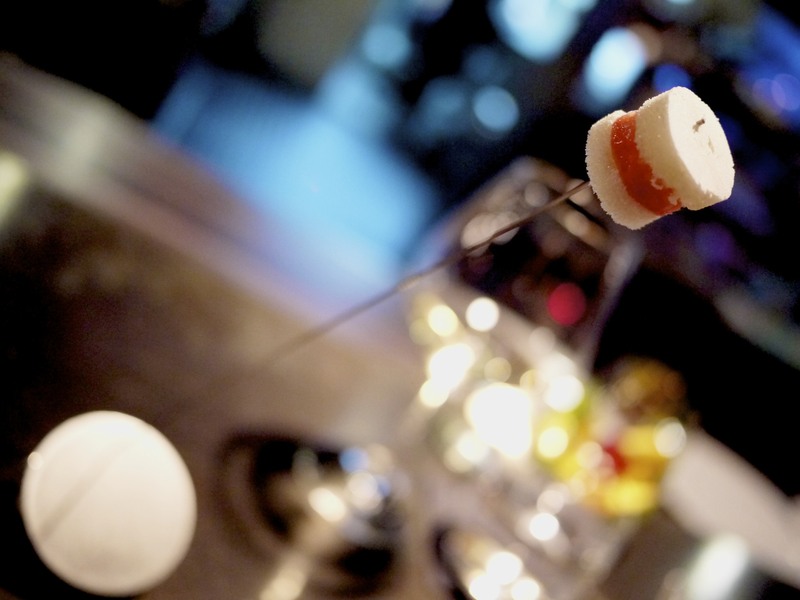 A touch of Clift’s roots with the Strawberries and cream Brighton rock. If you grew up in England you would have come across these ‘Rock’ candies at most seaside resorts, but rather than the traditional peppermint or spearmint flavour, it was replaced by another classic English flavour combination of strawberries and cream. Clift’s take on the local ice cream sandwich, Dehydrated milk and guava sandwich. 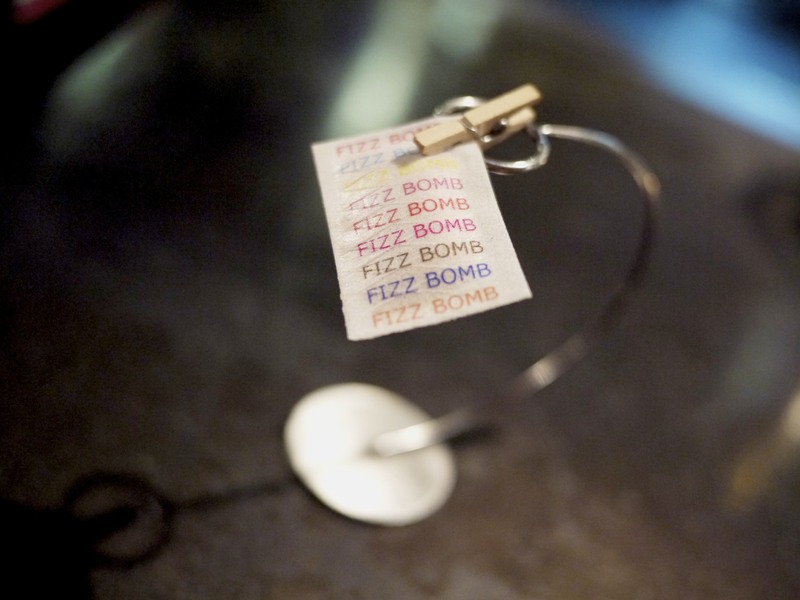 A wholly edible Fizz Bomb that literally fizzed and cleansed your palate, preparing you for the next course. Very creative and brought a smile to both myself and my friend. We felt like kids but it was fun! 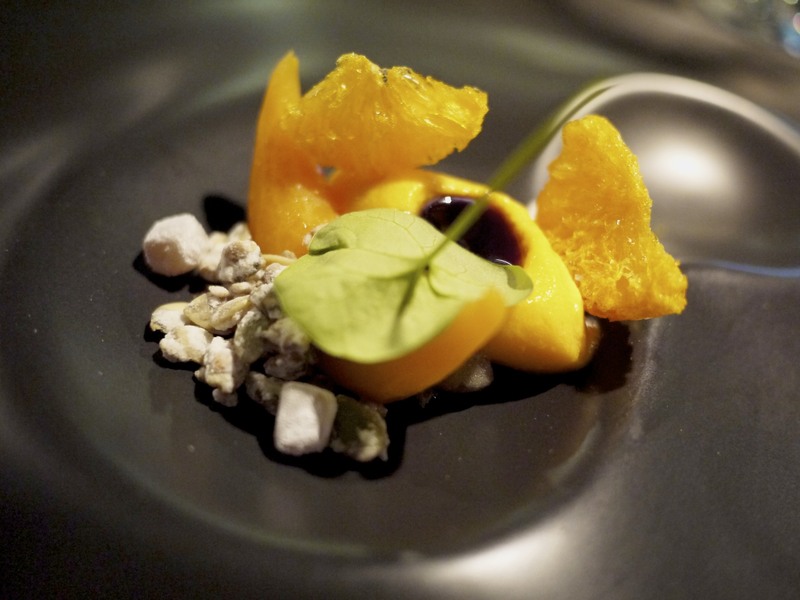 The last stretch of our meal began with Pumpkin and Mandarin. The butternut was cooked in a mandarin juice and served with a mandarin and pumpking sorbet on a bed of pumpkin seeds, which bizzarely went well together. The finale of the White chocolate and beer. The pillar of airy goodness was made using dark beer from Treviso, Italy, and served on a bed of caramelised white chocolate. Light, airy and very unique. I’ve (surprisingly!) tried white chocolate and beer combination before but unlike the last experience, this one was delicious and a perfect way to end the evening. 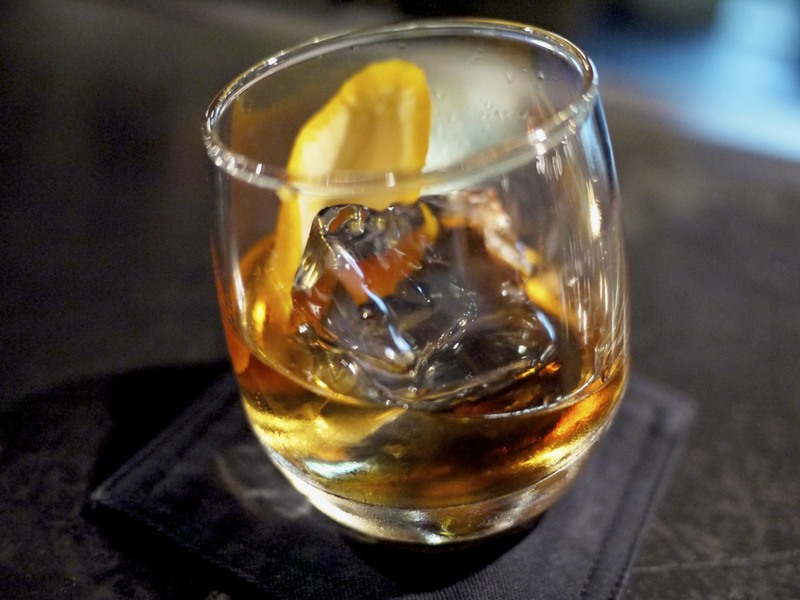 We sipped on a delicious glass of Ron Zacapa as we chatted with Chef Clift whilst we were waiting for our cab back to “civilisation”. As I glanced at my friend who was in the midst of showering Clift with praises, I think it was fair to say that the meal was a success. On a personal level I could relate to all the dishes because of my background, having lived in the UK, Spain and S.E. Asia, including Singapore, for a significant part of my life. 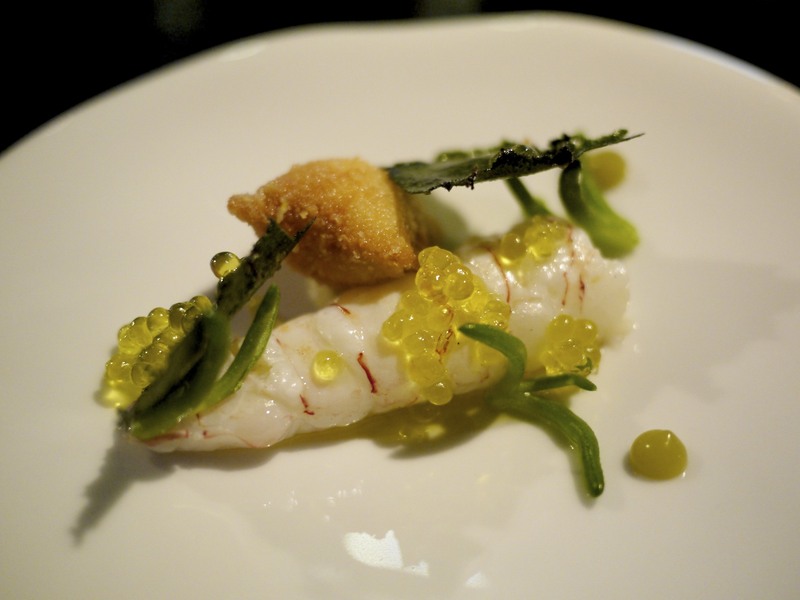 Clift’s food was a juxtaposition of whimsical presentation and serious cooking; something many chefs have difficulty in balancing, yet he has got it spot on. What’s more, he made it look easy! However, given his experience and technical finesse, I have no doubt that countless hours of sweat and hard work has got him where he is today. I found it scandalous that they had been omitted from the inaugural San Pellegrino Asia’s 50 Best guide in 2013; thank god this injustice has since been rectified in the 2014 ceremony. I truly hope that his move and expansion at the new premise will not compromise the quality of cooking. 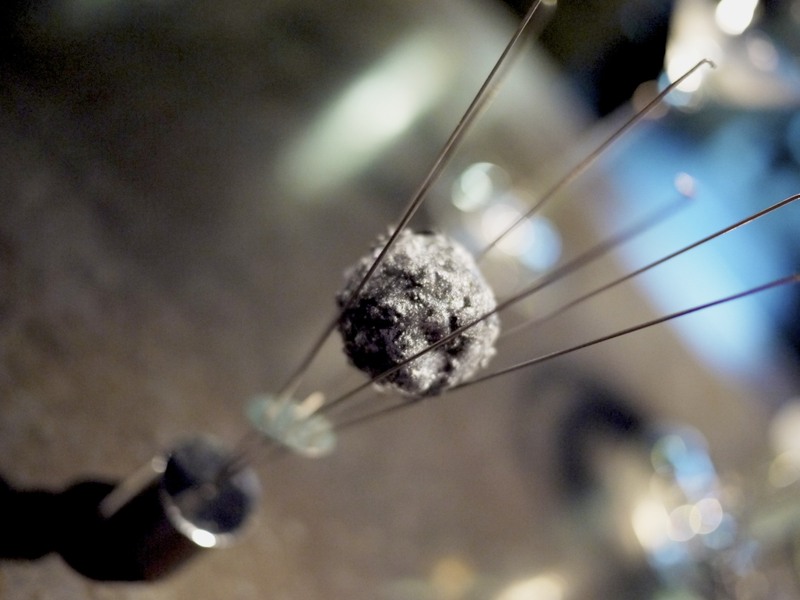 This entry was posted in Singapore and tagged Ryan Clift, San Pellegrino Asia's 50 Best, Singapore, Tippling Club on March 16, 2014 by admin.